Another trip to the Oxford University Museum of Natural History today to collect some products for photographing. With hordes of primary school children running around, it's easy to forget that along with Pitt Rivers Museum, OUM is a teaching and research department of the University. But look past the exhibits, and you will find the odd clue to the institution's primary purpose. To the side of the main museum floor are several heavy doors, each carrying the title of the resident academic. 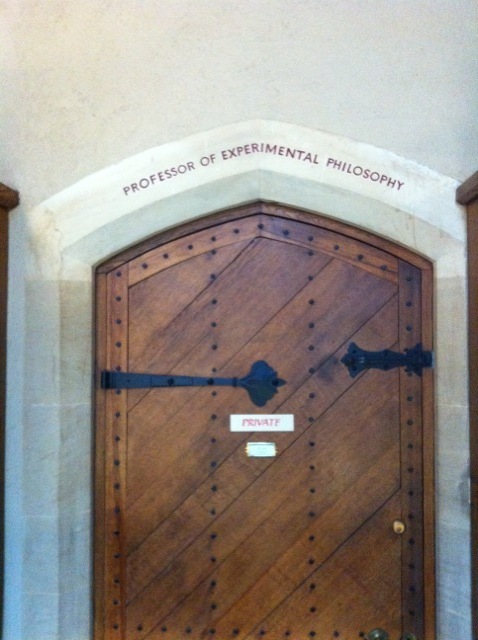 My favourite by far is Professor of Experimental Philosophy - I can only begin to imagine what topics this scholar researches and the unlikely experiments they must conduct. It sounds to me like the stuff of Philip Pullman novels; that Lyra herself must be a close friend to the professor... or perhaps, arch-enemy.